Kuma Forni is a company near Verona specialised in the production of revolving pizza ovens, whose Made in Italy represents one of its strong points. The materials used to manufacture the cement parts of the oven are first-rate, they give greater value to the oven and ensure high performances. Unlike other companies of the pizza oven industry, Kuma Forni opts for Italian, first-rate, highly refractory, aluminium-rich materials, which are mixed, put into the specific moulds and immediately vibration welded. 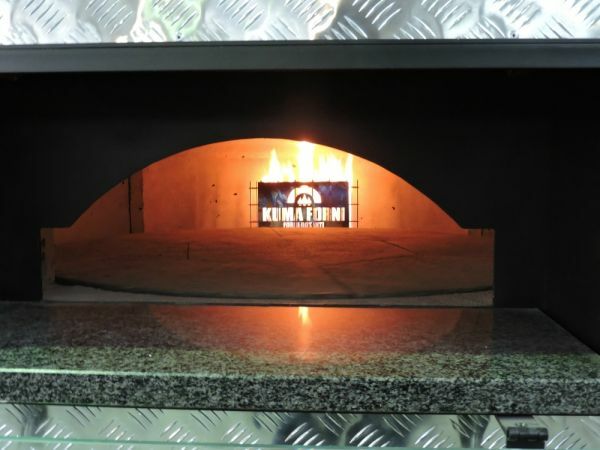 Kuma revolving pizza ovens are also equipped with control panels at the forefront of technology; they are developed by Italian experts as well and they enable pizza makers to manage and control all operations in an easy and fast way. Producing revolving ovens with Italian materials is our philosophy: Kuma Forni has always been involved in the safeguard and promotion of the Italian craftsmanship. Moreover, every year our technicians keep on improving our wood-fired, gas and gas/wood-fired pizza ovens, they design and test new prototypes which will facilitate the workers in the sector such as pizza makers and chefs.